Some motorists believe that a reckless driving charge isn't a big deal. However, a conviction for this Washington crime has consequences that could land you behind bars and cost you a great deal of money. A reckless driving conviction in Federal Way incurs a mandatory 30 day driver's license suspension, up to 364 days in jail, and fines that may total $5,000. After your driver's license is reinstated, the law requires you to carry expensive SR-22 auto insurance for three years. This means that even though reckless driving is a misdemeanor, it can cause lasting damage that far overshadows its relative severity. If you've been charged with this serious crime in Washington, seek help from the Federal Way reckless driving lawyers at the professional Law Office of Jason S. Newcombe. It's important to seek professional legal guidance as you navigate the complexities of the Washington legal system. Washington State law can be confusing when dealing with these offenses, but our Federal Way reckless driving attorneys will provide you with the help you need to make better decisions based on the law. Contact our law office today and speak with one of our legal representatives. Our Federal Way reckless driving lawyers will contact you within 24 hours, so that you can discuss your case without any obligation. If you retain an attorney from our law firm, they will be at your side when you appear at your Department of Licensing hearing and in court, if it proves necessary. Our main goal is to keep you out of jail and validly licensed to drive, but the outcome of your case will likely depend on the circumstances of your arrest and the police reports. 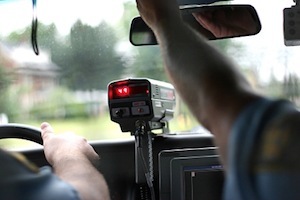 Can An Attorney Fight A Reckless Driving Charge in Federal Way? If you're cited for reckless driving, you will be prosecuted as a criminal, but our Federal Way reckless driving attorneys realize that you don't consider yourself a criminal. The role of your lawyer is to defend your legal rights and offer you reliable legal counsel whenever you need it. Your attorney will explore potential problems with the prosecution's reckless driving case in an effort to clear you of the charges, so it's important to speak with one of our Federal Way reckless driving lawyers as soon as possible. Our lawyers offer a free consultation to any motorist in Federal Way charged with any driving-related crime. You can start gathering accurate legal information regarding your case without spending any money, and then make a decision regarding representation. We realize that you want to stay out of jail, and keep your driving privileges, which is why we prioritize these key issues as we develop a defense. With more than thirty years of collective experience, our Federal Way reckless driving attorneys are ready to help.